Information that is relevant to consumers primarily. Health is very important. To stay healthy, we may get the urge to try new health care products or medicine without knowing a lot about them. Unfortunately, health care scams loom. 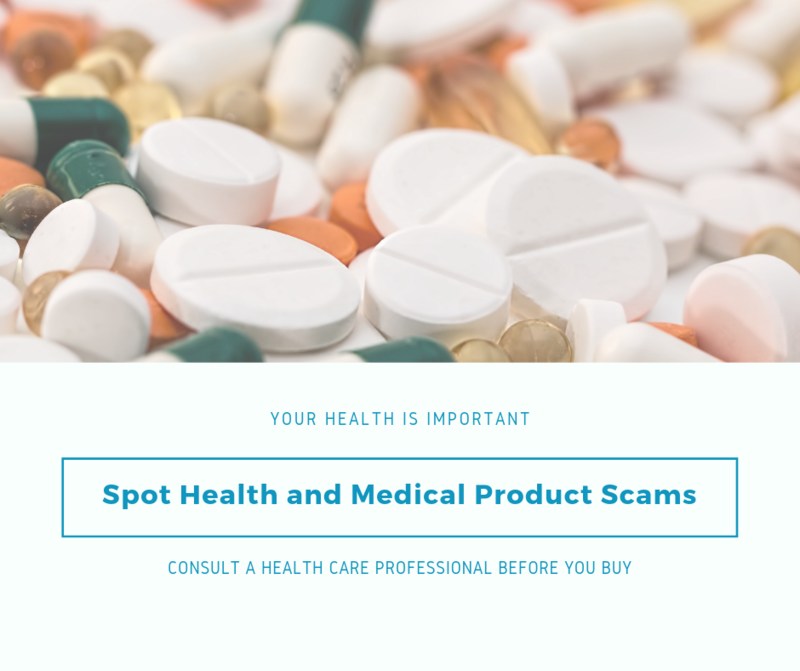 Below is what you should know about health and medical product scams. Health and medical product scams try to convince the consumer that there is a “cure-all” medicine, treatment, or product at a very low cost. These scams may surface as an email, an advertisement on the internet, or as a phone call. The scammers may claim to be linked to doctors or hospitals. 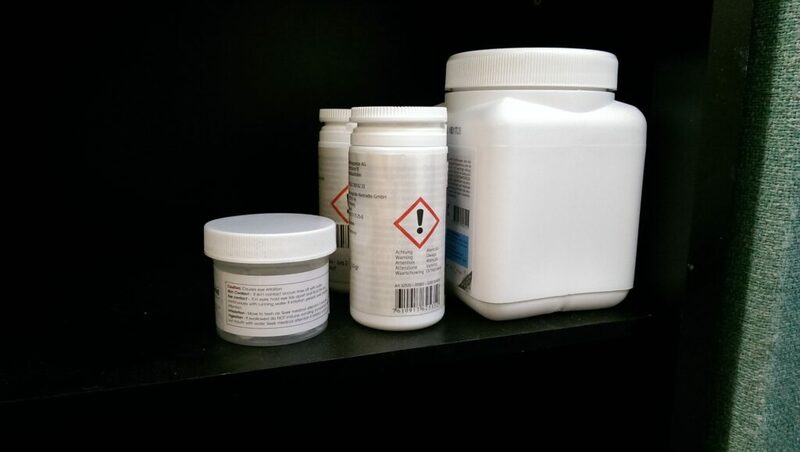 The offers may look real, but the products could be fake and endanger a person’s health. An unsolicited email/advertisement offering a popular medication at a very low price. The products are very cheap and offer “cure-all” characteristics. The seller claims a prescription is not necessary. You’ve never heard of the product. The mentioned doctor is not real. There is no scientific data on the product. If you find a new health and medical product that you are unsure of, always ask a trusted and licensed healthcare professional about it. If you find a suspicious healthcare website, do not give any personal information or financial information. Always do research and get the facts to stay informed and stay safe. If you or anyone you know has engaged with a scam, please contact the Consumer Assistance Program at 800-649-2424. #1 Fake photographer: Scammers offer what appear to be professional photography services through websites with stolen or stock images. They ask for payment up front and then disappear with your money. Research businesses BEFORE hiring them—ask friends for recommendations and look for online reviews. Ask the photographer for references and call them. Ask the photographer to sign a contract before providing a deposit. NEVER wire money to someone you’ve never met! #2 Online wedding dress: Scammers create rip-off websites offering steep discounts on designer dresses. You pay for the dress, never receive the order, and can’t get in touch with the sellers. Then the website disappears from the internet. Search online forums for reviews of the seller and the website. Check the dress designer’s website to see if the seller is listed as an authorized dealer. Comparison shop. Check prices with multiple sellers. If it sounds too good to be true, it probably is. Scammers target wedding vendors too! #3 Fake order of goods/services: Your business is contacted by a “client” who wants you to perform a service or provide goods for their wedding. (This scam typically targets florists, musicians, bakers, and event planners.) You receive a check for more than the agreed upon amount. Your “client” then advises you to deposit the check and send the difference to another vendor by wire transfer. Later, the check bounces and you’re out any money that’s been transferred. Do not cash the check. Never send money to an unknown party and cease all communication with the scammer immediately. Be cautious of clients sending you more money than you’ve agreed to. This is a sign of a scam! #4 Justice of the Peace scam: Your information is published online as a Justice of the Peace (JP). You are contacted by a “couple” who wants you to perform their marriage ceremony. 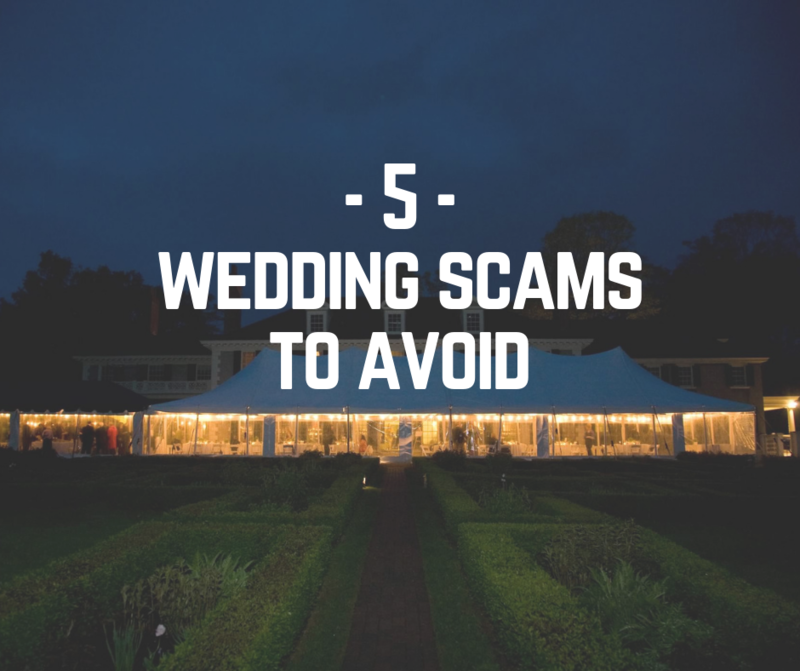 The scam involves a fake check well over the amount for marriage ceremony services and a request to send the excess to another ceremony vendor. In one report recently received by the Attorney General’s Office, a JP was mailed a fake check in the amount of $1800 and instructed to send the majority to a videographer. Never send money to an unknown party and to cease all communication with the scammer immediately. #5 Wedding Expo scam: A scam website claims a big wedding expo is coming to town. There is a registration fee for vendors with promises of a great location and exposure. The “event organizers” require payment in advance and you later find out that the expo doesn’t exist. Contact the venue the expo is claiming to be held at. Check the event organizer’s references. Connect with other vendors to see if they have any information. Vermonter consumers and businesses who have fallen victim to any of these scams should contact the Consumer Assistance Program right away at 800-649-2424. Now that you know what scams to be aware of, here’s information about obtaining wedding licenses for people getting married in Vermont. Happy planning! 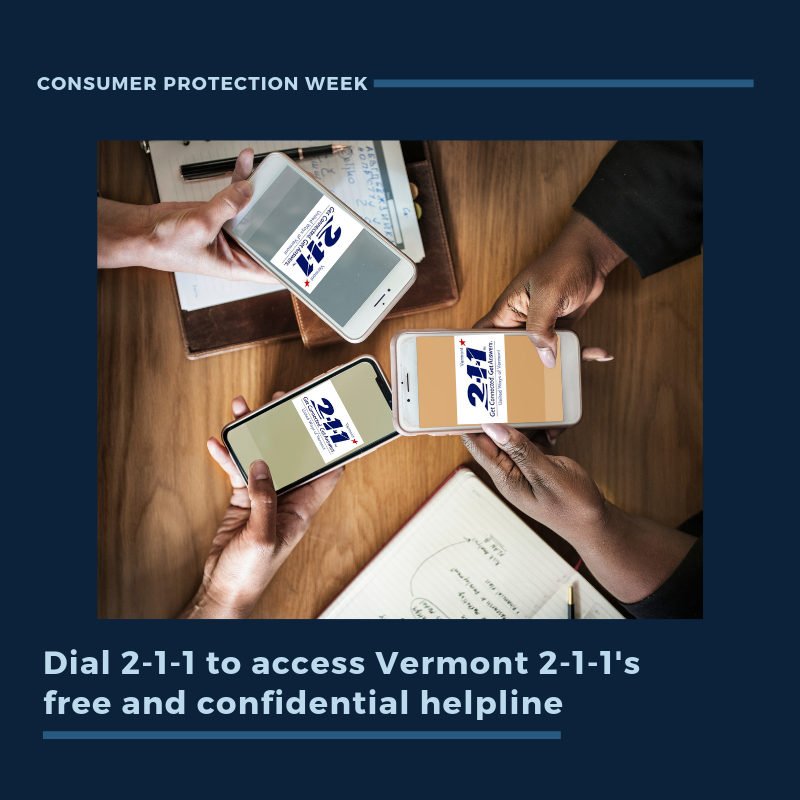 To wrap-up National Consumer Protection Week, we are shining a spotlight on our community partner Vermont 2-1-1, a health and human service helpline offering information and referrals 24 hours a day, 7 days a week. Vermont 2-1-1 is a program of the United Ways of Vermont that connects Vermonters to the local agencies, organizations, services and resources they need. Vermont 2-1-1 can help people find resources for basic needs, mental health and substance abuse services, criminal justice and legal services, health care, income support, and more. Anyone can access Vermont 2-1-1’s confidential and free services by dialing 2-1-1 from anywhere in the state, texting your zip code to 898211 (Monday – Friday from 8AM-8PM), or using their online community resource directory. Contact the Vermont Department of Financial Regulation’s Insurance Division. The Insurance Division regulates insurance in Vermont. To get help with filing a complaint, call 800-964-1784 or file a complaint online. Call Legal Services Vermont at 800-889-2047. An intake specialist will get basic information about you and your legal problem. If they can help you with your legal issue, you will be referred to a paralegal or lawyer at Legal Services Vermont or Vermont Legal Aid. Their services are free. You can also visit their legal help website for information. Contact the Vermont Department of Financial Regulation’s Banking Division. The Banking Division regulates a variety of entities including banks, lenders, and mortgage brokers. To get help with filing a complaint, call 888-568-4547 or file a complaint online. Have a complaint with a public utility like a phone or internet provider? Contact the Vermont Department of Public Service’s Consumer Affairs and Public Information Division (CAPI). CAPI advocates for policies that protect consumer interests, educates consumers about utility issues, and helps people and businesses reach an informal resolution of their disputes with regulated utilities. To get help with a complaint, call 800-622-4496 or file a complaint online. Still not sure who can help? Call CAP at 800-649-2424! Our team of consumer advisors are dedicated to helping Vermonters get the support they need. If CAP can’t help you, we’ll figure out who can. It’s National Consumer Protection Week! Check in all week for consumer information you should know. Businesses can be consumers too! 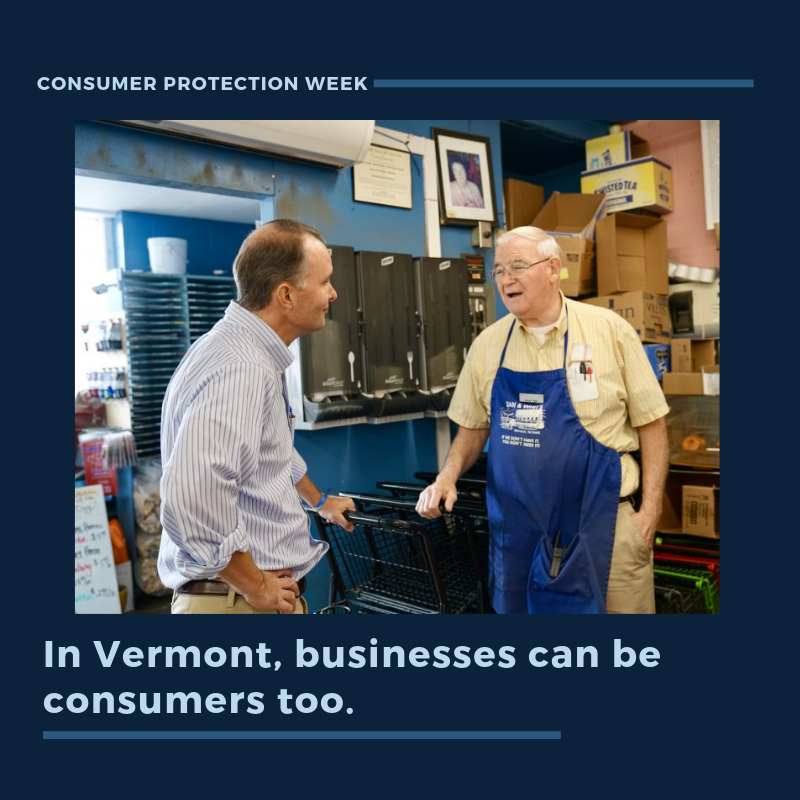 Vermont is unique in that our Consumer Protection Act defines “consumer” to include businesses that are the consumer in a transaction, such as when purchasing goods or services that are not for resale (9 V.S.A. § 2451a(a)). If your business needs help, contact our Small Business Advocate by emailing AGO.SmallBusiness@vermont.gov or calling 800-649-2424. Small business paid a listing service for over 5 years of online advertising when it realized that advertiser had published the wrong phone number for the small business. The listing service offered to refund the small business $450 to resolve the issue, but this was significantly less than what the small business had paid for the service. Our Small Business Advocate reached out to the listing service on the small business’ behalf and was able to secure a refund of more than $4,000 to recapture the costs paid for the service. Small business attempted to cancel their lease for credit card processing equipment (the lease was entered before new protections took effect on July 1, 2018), but the leasing company claimed that the small business owner was unable to cancel the lease agreement and needed to pay the remainder of the lease term. Our Small Business Advocate reviewed the lease contract and found that it did not conform to Vermont’s Home Solicitation Sales Act (9 V.S.A. § 2454). The leasing company agreed to cancel the contract, saving the business owner more than $600 over the course of the lease. Small business signed up for a lead generator service but was dissatisfied with the quality of the referrals they received. Small business requested a refund but did not receive a response from the lead generator. Frustrated by the lack of response, they contacted our Small Business Advocate who brought the complaint to the lead generator’s attention and facilitated a refund to the small business of nearly $300. Does your business need help? Review our office’s webpage for small businesses and contact our Small Business Advocate today. Debt can be a major source of stress and financial strain. In fact, the average Vermonter has nearly $10,000 in credit card debt, according to the Burlington Free Press. 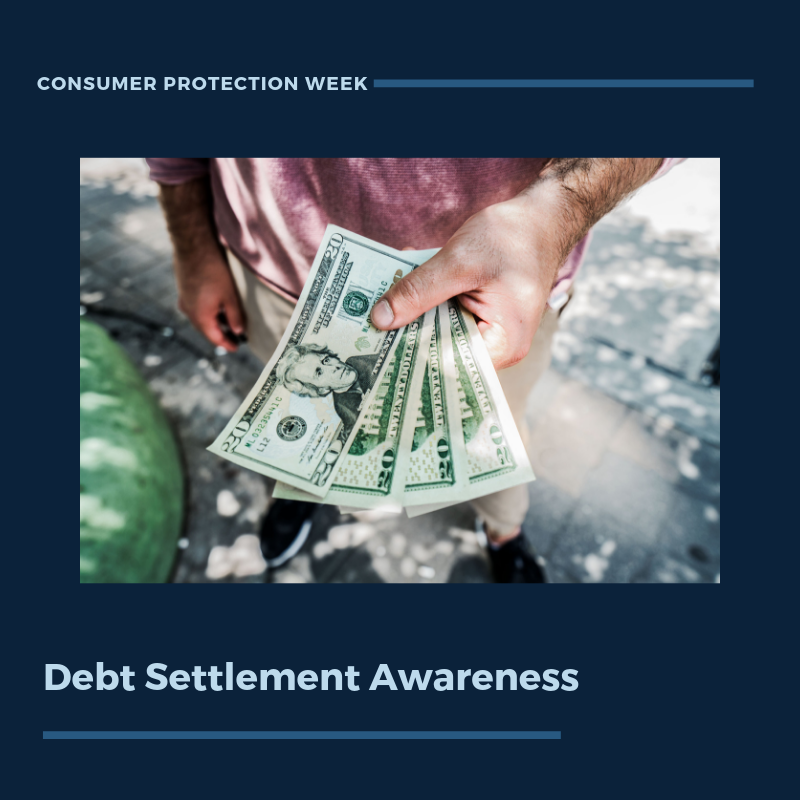 For National Consumer Protection Week, we’re sharing important information about debt settlement programs. There are free services that can help you settle your debt. You can find some resources at VTLawHelp.org. Additionally, you can work directly with your creditors to negotiate a debt settlement without using a third party. The CFPB has great step-by-step information about how to do this here. There are also nonprofit debt settlement services you use instead of using private, for-profit companies that can come with risks. Local Community Action Agencies are a great resource for free advice too. If you choose to use a for-profit debt settlement option, it’s important that you use caution. These private, for-profit businesses may offer to settle your debts for less than what you owe by working directly with creditors. “You should be aware that “creditors have no obligation to agree to negotiate a settlement of the amount you owe. There is a chance that your debt settlement company will not be able to settle some of your debts — even if you set aside the monthly amounts the program requires. There are many debt settlement scams out there. Any company offering debt settlement or debt adjustment services in our state must be licensed with the Vermont Department of Financial Regulation. You can check a license online by searching the business name on nmlsconsumeraccess.org. If you have any questions about next steps, you can always contact the Consumer Assistance Program at 1-800-649-2424. You can take action to tackle your debt, but be cautious of organizations that may try to take advantage. You have the power to protect yourself and your finances.